TSP Legal Why are we paying more Inheritance Tax than ever before? TSP Legal > News > General News > Why are we paying more Inheritance Tax than ever before? Why are we paying more Inheritance Tax than ever before? 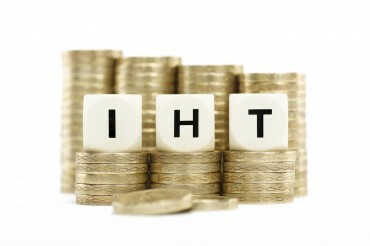 Despite the increase in available Inheritance Tax (IHT) allowances, HM Revenue and Customs have announced that the payment of IHT has broken the £5billion barrier for the first time in 2017/18, and is likely to continue to rise over the next few years. In April 2018 the Government revealed that the amount of Inheritance Tax raised was more than double the 2009/10 amount. However, this figure has, as you would expect, been influenced by the significant increase in property prices during the intervening years. These findings are in complete contrast to what was expected to happen following the phased introduction of the additional Residential Nil Rate Band (RNRB) allowance, which will be fully implemented, at a level of £175,000, by 2021. At this time the total IHT tax free allowance of £500,000 will be available to individuals if they own a property and have an estate worth less than £2million. This will be double for married couples and those in Civil Partnerships as the individual allowances are transferrable between spouses / partners. You can find out more about the RNRB by viewing our previous article here. Many advisors suggest that one of the reasons behind this increase is that many families do not fully understand their own personal needs, thus retaining large amounts of savings in investment funds for that ‘just in case’ moment, rather than gifting them to their children or into trust. There has been a lot of talk about the bank of mum and dad, and although this has been widely discussed in the media, the reality is that it is just the tip of the iceberg. At Thompson Smith and Puxon, for estate and tax planning purposes, we undertake a complete review of a client’s income and expenditure, looking realistically at their day to day needs and making provision for the unexpected event, before setting out a plan of gifting, either into a family trust, or directly to the children and or grandchildren. If you wish to discuss the mitigation of inheritance tax then please contact the Thompson Smith and Puxon Wills and Estates team. The team can advise on Wills, LPAs, Lifetime Planning and the Administration of Estates (Probate). They can be contacted on 01206 574431 or by email at info@tsplegal.com. The figures stated in this article were sourced here.